Between 2012 and 2016, the working age population in the Central region increased by 4.1 per cent. Over the same period the labour force increased by 2,700 or 5.0 per cent, while the participation rate increased to 65.8, below the average for the province (67.6%). 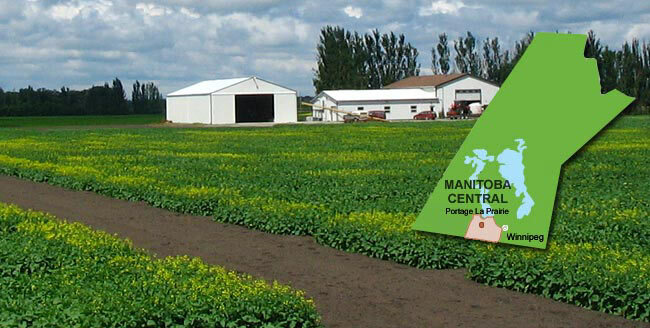 In 2016, the unemployment rate in the Central region in Manitoba increased by 0.1 percentage points from the previous year and sat at 4.1 per cent, the lowest in the province. Of the 53,900 persons employed in 2016, 43,000 persons or 79.8 per cent were in full-time positions. In 2016, 53,900 people were employed in the Central region. In 2015, 64.4 per cent of people were employed in the service-producing sector compared to 35.6 per cent in the goods-producing sector. Statistic Canada’s Job Vacancy and Wage Survey (JVWS) estimates the number of payroll employees in the South Central region at 23,980 and the number of job vacancies at 435 in the third quarter of 2016, resulting in a job vacancy rate of 1.8% per cent. Compared to the previous quarter, payroll employment increased by 350 (0.1%), while job vacancies increased by 35 (8.8%), resulting in an increase in job vacancy rate by 0.1 percentage points. Average hourly wages offered for vacancies in the region were $15.70, down $0.70 from the previous quarter. The North Central region had 15,550 payroll employees and 300 job vacancies in the same time period, bringing the job vacancy rate to 1.9%. Compared to the previous quarter, payroll employment decreased by 130 (0.1%), while job vacancies decreased by 30 (6.3%), resulting in an increase in job vacancy rate by 0.7 percentage points. Average hourly wages offered for vacancies in the region were $14.95, down $0.60 from the previous quarter.